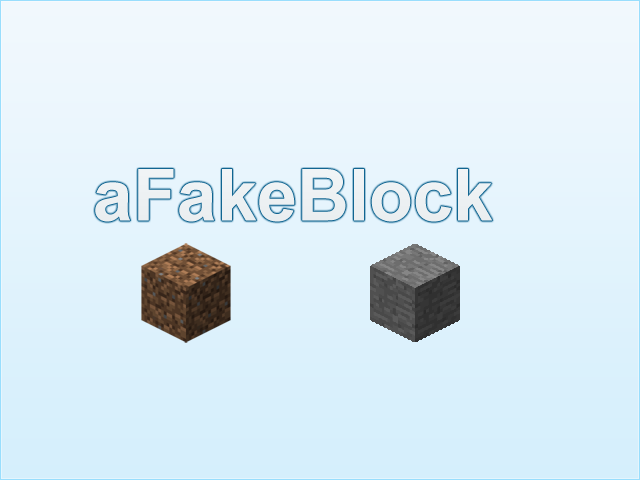 aFakeBlock gives you currently two blocks. A stone block and a dirt block. They can be used to create a trap in the ground or make a hidden base or entrance. I would not use them in the wall currently due to bugs. In creative these blocks can be found in the "building blocks" tab at the very bottom. Also the blocks has a trap for anyone who breaks them.